Mark and I have been in the country of Panama for over a year. Most of that time was spent in the San Blas islands, with occasional trips to the mainland and time there needed for projects and provisioning. Before driving Irie through the canal and anchoring her in the capital for almost three weeks, we had been to Panama City four times: once by camper in 2006, once after we helped our friends Axel and Liz through the big cut, once to visit them again and once after flying back from the States. Most of these “visits” were taken up by boat and grocery shopping in the nice and modern stores. Only once did we actually explore the old city, which is not too spectacular anyway. 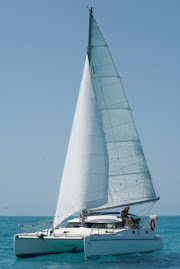 When you live on a sailboat it is surprising where your priorities lay! I would not call the Panamanian people over friendly. One time, a local guy helped us and some friends out with his bus card, paying for the ride and not accepting the dollar back. Over the year, I’ve had a couple of men get up and offer me their seat in the bus. Usually, people don’t like to cue, but prefer pushing to get on the bus first, they don’t smile often nor greet tourists on the streets, they like loud music, crowding and tight clothing. It is common for them to throw garbage on the street, in nature or through the bus window – sides of streets are very littered, mostly outside of Panama City – even whether there are bins around. They are never in a rush or stressed, and mostly do what they please without seeing any harm in it. Once, I had a woman with a chock full cart cut the line in front of me at the grocery store check-out as if that was the most normal thing to do! When you own a boat on which things break all the time, run a business or have to stock-up on groceries and other supplies, you need to rely on local businesses. Panama, being a thoroughfare for many vessels on either side of the canal, has surprisingly few conveniences for boaters. On top of that, the careless attitude of the people makes things worse. Most people do not seem to enjoy their job or their customers. You get used to the female cashiers playing with their phone or their nails, hardly looking up to help you out. A lot of patience is required and endurance to try to get what you want or be helped properly and satisfyingly. That being said, you can get a lot of things done over a long period of time and frustration, mainly in the city. This all sounds a bit harsh, but many cruisers share our opinion and experiences. Over the time we have spent in this country, we had two really positive experiences (both in PC) and would recommend both businesses. The first is Roger (Rogelio), the taxi driver, who is VERY reliable, friendly, helpful and responsible. The other is the Balboa Dental Clinic, where the employees are extremely friendly, helpful and knowledgeable. English is spoken by all. Big, western-style grocery stores, small Chinese run shops, marine stores, hardware centers, shopping malls, metal shops, specialty stores, gourmet markets, department stores … you find it all in Panama City. There is more available here than anywhere else in the country and that in itself is a breath of fresh air. Still, particular items are unavailable, a pain to source or very expensive, so when Mark returned from the US, his suitcases were chock full of boat parts and repair materials. Panama City is a big place, with many stores. Visiting boats are located at the Amador, which is a causeway, pretty far away from everything. The way to get things done in the easiest fashion is by taxi. Fares do add up quickly, especially since the return trip – with all the groceries – is more expensive. The cheapest way is to take a $1 taxi (the minority of cabs is interested in charging only $1 per person a ride, especially if you’re a gringo) to Cinco de Mayo, one of the bus congregations, where you can take a chicken bus or Metro bus close to your destination. You need to have a good idea about the layout of the city and the unadvertised routes of the buses. There are no bus schedules. The Metro buses are comfortable, relatively uncrowded and airconditioned. You do need to buy a $2 card at one of the vending locations and “put” money on it. Each person scans the (same) Metro card when boarding the bus. Rides are 25 cents everywhere in the city. On the way back, you can try to follow this process in reverse, or take a cab back to the Amador, for which you will have to bargain big time. It is very important to agree on a price before taking off! Mainland Panama does not have great anchorages and Panama City is the worst. Cruisers can pick up a mooring (and pay) at the Balboa Yacht Club, where a lancha is needed to get to shore (patience is required, freedom to go whenever is gone) and where the close proximity to the canal means rolling around at anchor. Or, they can anchor at La Playita anchorage, where the big wake of passing ships, ferries and pilot boats create the same uncomfortable moments at anchor, where stuff flies all over the place and the boat is not at rest, ever. There is a good dinghy dock, but you have to pay $38 a week (per boat) to go ashore. Garbage disposal is free, but for fresh water you pay 5 cents a gallon. Diesel is the same price as in the gas stations, but much more convenient to get. The third option is the Las Brisas anchorage, which only gets choppy and uncomfortable with strong winds from the north/east or when the current differs from the wind direction. It is less busy and less noisy, but the dinghy dock is very inconvenient, tricky and dangerous. Being there is free and you have a nice view over the city. You also get to enjoy the city’s run-off. And then there are the extremely expensive marinas as the only other alternative… Each of these places gets showered with dirt from the big city and the boat becomes truly gross and dirty, inside and out. Most of the days have been warm and enjoyable, with blue skies and a little breeze. The rain has stopped falling for many months to come, so we have to buy and lug water again. The nights have been cool, sometimes even chilly, and in the city, we slept with a comforter and took a sweater when going out. In the mornings, we used the dew to “clean” our decks. The water of the bay was frigid and taking showers less than pleasurable. Condensation took place in the hulls – mostly the underwater part - and we found a decent amount of water in the bilges. Temperatures seem to be rising again now. The phenomenon of “red tide” has been prominent everywhere. The water turns red with big particles floating about. Not ideal to take a dip. We would love to get a little bit more (and consistent) wind. In the past, I have wanted to see sloths in the wild and I have been looking and searching for them on many occasions. Big was my surprise and excitement to see two of them in the trees at the parking lot of La Playita! They live in that neck of the woods and around 16:30 – 17:00 you can spot them eating the fruits off branches. There are also a lot of birds and fish around, now that we are in the Pacific. Thursday means “pizza night” on the Amador, in the Eskinita pizzeria. Lots of cruisers show up, a long table is formed and good food and fun times are had. Books are swapped and goods are sold. One day, I joined Mark and Marian (SV Zenna) to Taboga to observe the Festival of the Sea celebrations and explore the cute island a bit. Mark and I also met up with our Austrian friends Christian and Birgit (SV Pitufa) a few times and said our goodbyes to Britta and Dave from SV Anam Cara. As they are getting ready for a new “twist” in their lives, we are getting ready for our own, new kind of adventure as well. Nice writeup Liesbet. We will be in PC in November touring around Panama & later Costa Rica. Also hope to sail through there one day as well. Good helpful info. Thanks. You are so right about the anchorages in Panama City. We can't wait to get out of here! I'm hoping we will be in the Perlas by the end of the week, and maybe we can catch up then. Enjoy Panama City... The stores, I mean. :-) Not much here in the Perlas. We are getting ready (really ready) to leave to the Galapagos on Sunday. Maybe we'll see you before? We would be in Pedro Gonzales or San Jose. Give us a call on #74!